Looking at your genetic data might uncover information that some people find surprising. Some information can be relatively benign and even amusing. At other times, the information you learn can have profound implications for both you and your family. 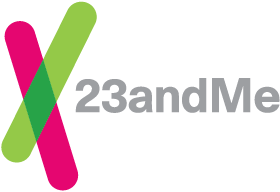 23andMe cannot provide you with an exhaustive list of all the unexpected things you might uncover during your genetic exploration, but in general these things fall into three main categories. Because our genes are part of our family heritage, genetic information can sometimes reveal things about our biological relationships to other family members. In the process of learning about your genetic makeup and comparing that with others, you may discover relatives who were previously unknown to you. Your genetic profile can lead you to other, distant branches of your family tree. Genetic information can also reveal that someone you thought you were related to is not your biological relative. This happens most frequently in the case of paternity.